I have these phases where I am obsessed with a brand or a color, and for a while everything I buy would be the same - am sure it happens with a lot of us :P Anyway, my obsession with NARS is one such thing, and it was during one of my want-everything-NARS moods that I picked up a bunch of the NARS makeup brushes. I have been using these brushes for about a year now, and I figured I might as well start reviewing them now. First on my list is the NARS #13 Large Dome Eye Brush. Most NARS makeup brushes feature black handles and shiny metal ferrules, and at least the eye makeup brushes I have tried are all longer than the average makeup brushes. The NARS #13 is made of "squirrel hair for creating a soft, rounded eye or for blending harsh lines." Scroll on for more photos. 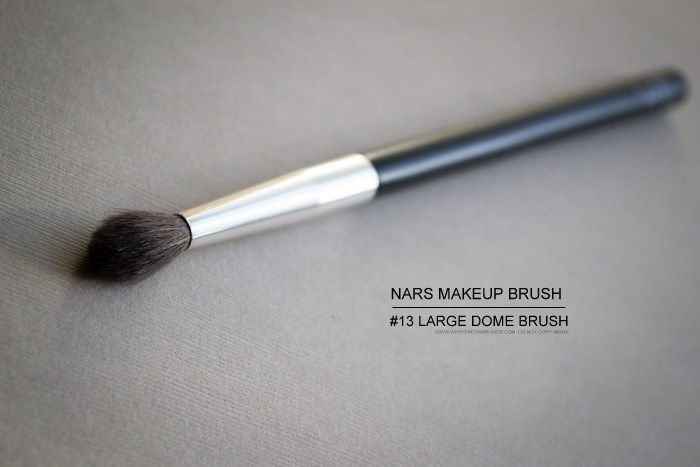 The NARS #13 Large Dome Eye Makeup Brush is a fluffy brush with the brushes tapering into a slightly pointy dome. The brush shape allows for moderately precise application of color along the crease or outer corners, but more importantly, it does a fabulous job at blending colors. 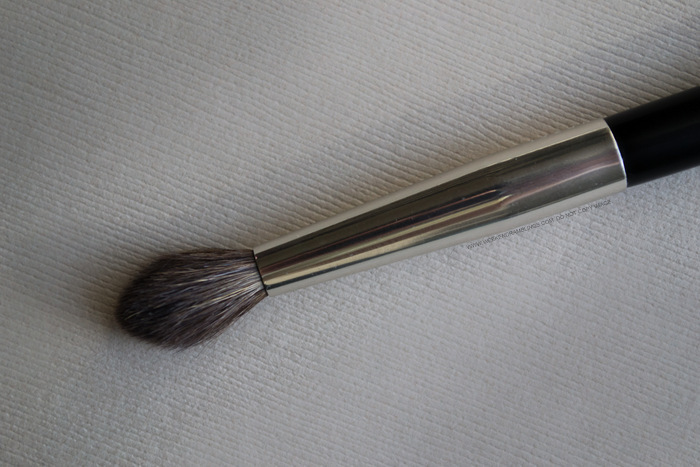 It's made of squirrel hair, according to the NARS website, and while the brush isn't supersoft, it's not scratchy either (not as soft as the Hakuhodo J5523, though). I have washed this brush a lot of times now and never had any hair shedding/fraying and it looks pretty much the same as what it looked like when I bought it. Definitely one of my favorite eye makeup brushes, especially because of the shape! I kinda liked this brush!! Is this more dense than MAC's 224?? 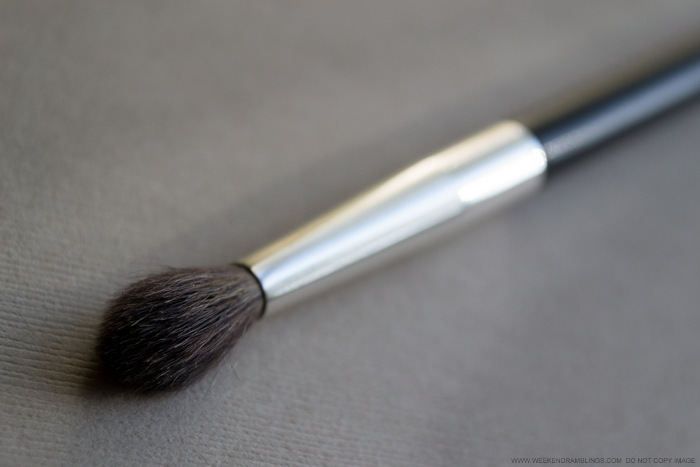 I have the 224 and it does look denser....this brush looks a lot like Laura Mercier's Ponytail Brush. 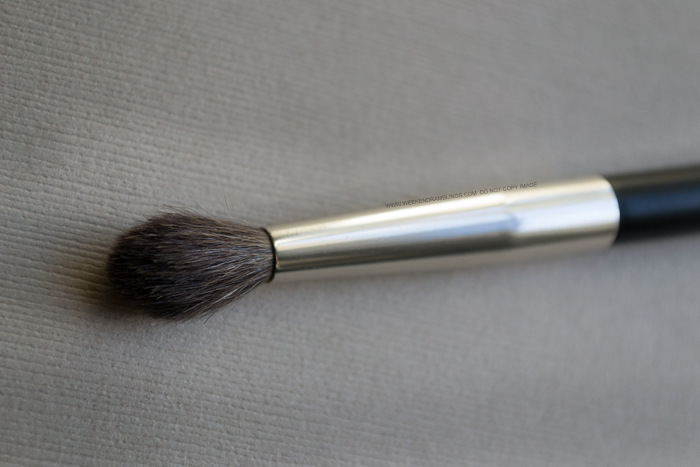 This looks like a nice crease brush though; I have the Bobbi Brown one and it's really hard and scratchy.